O (Observation): Jeremiah – a prophet who served God for many years in Judah – is called to serve Israel at a very young. He is worried that his youth / age is a stumbling block to his potential for ministry. Yet God’s grace abounds. God promises to Jeremiah that God will supply all of the words that Jeremiah will speak. God encourages Jeremiah and lets him know that even in his mother’s womb, God had destined Jeremiah for a specific call as a prophet. We are not perfect. God doesn’t claim to make us perfect. Instead, God calls us to particular personal calls to ministry and equips us with grace to do so. Some will be prophets, some evangelists, some apostles, some teachers, some pastors. And just as God promised to Jeremiah to give him the words to say, encouraging him even as a young person, God equips all of us – today – through the gift of the Holy Spirit. We are called. We are given grace. We do ministry WITH God. If you’re not sure what your main calling is, check out this survey of 80 questions to get a sense for what your “base” ministry / calling is. It’s pretty fun to explore. FiveFoldSurvey.com. Feel free to post your results here or message me. Hopefully it raises more questions and insights for you. 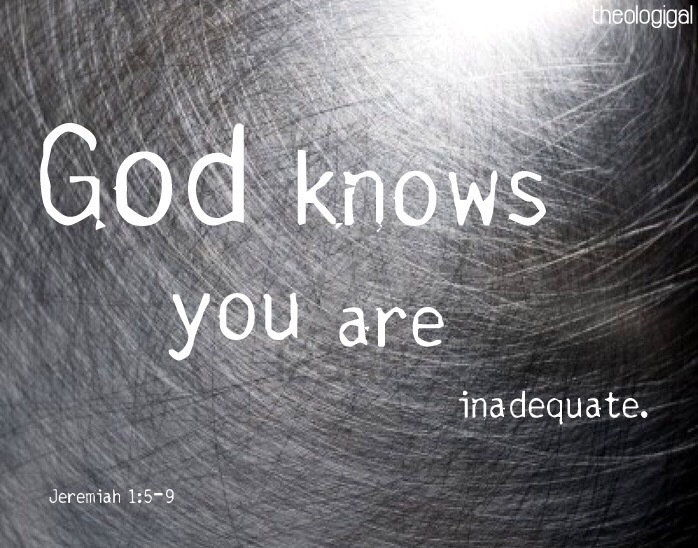 P (Prayer): Lord, you call us into ministries and places we feel we are inadequate. Help us to follow our ministry callings. Help us to stand where your grace is being poured out. Amen. This entry was posted in Digging Daily and tagged Call, Jeremiah, Paul, Prophet, young. Bookmark the permalink.